TOKYO (Reuters) -- Honda said on Tuesday it would start the world's first mass-production process to extract rare-earth metals from used car parts and recycle the expensive materials mainly controlled by China. Honda has partnered Japan Metals & Chemicals Co. to begin extracting rare-earth metals this month from nickel-metal hydride batteries collected from used hybrid vehicles at its dealers around the world, the Japanese automaker said. Rare-earth minerals are widely used in the motor magnets and batteries found in electric and hybrid vehicles. They are also crucial for the defense, electronics and renewable-energy industries. China accounts for about 97 percent of world output of the 17 rare-earth metals and has ratcheted up export controls, sending prices soaring. 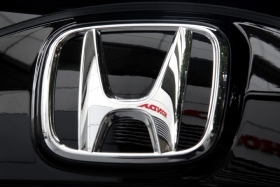 Honda said the newly developed process enables the extraction of more than 80 percent of rare-earth metals in nickel-metal hydride batteries. It plans to also use the process for other parts, feeding the extracted metals back to its products. Japanese automakers and other heavy users are researching ways to reduce rare- earth usage or replace the metals, including with the help of government subsidies.